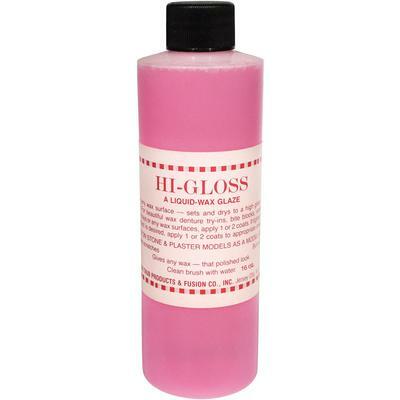 Hi-Gloss for any wax surface. Sets and dries to a high gloss in minutes. For wax dentures, try-ins, bite blocks, cast crowns and inlays.